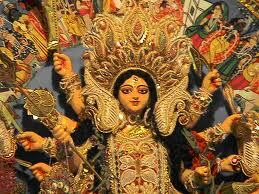 The tenth and the last day of the ten day long Dusshera festival is Vijaya Dashami. Vijaya Dashami occurs in the Ashwayuja Month of lunar calendar. Vijaya Dashami occurs on sukla paksha Dashami or on the tenth day of the waxing phase of the moon. Vijaya Dashami of this year will be celebrated on Thursday , 22 nd October 2015 .